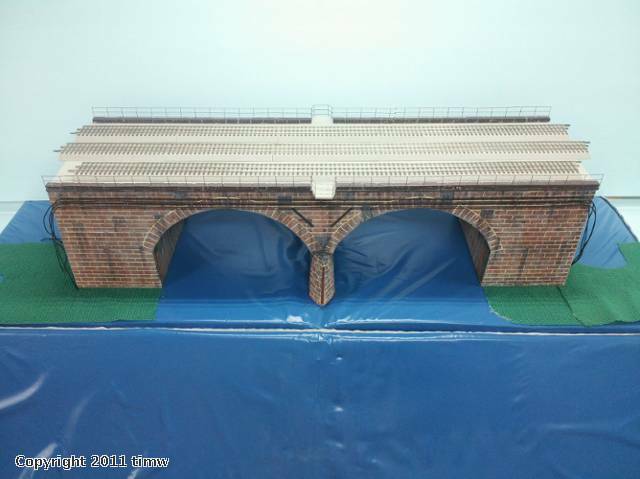 This is my version of the Rockville bridge near Harrisburg, PA It can handle 3-4 O gauge tracks, depending on whether Lionel Fastrack or Atlas O or others are used. 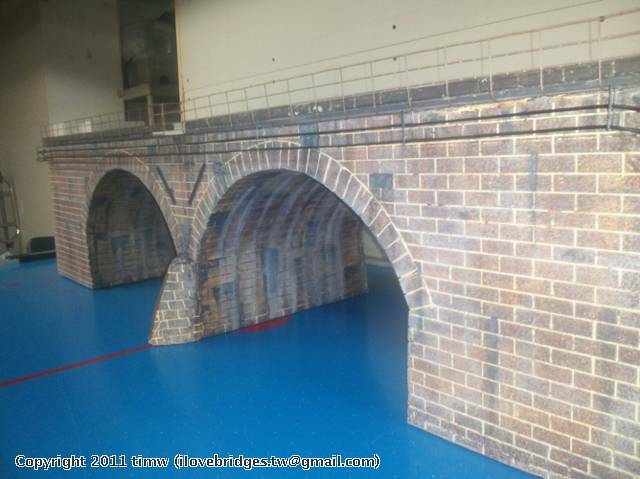 It is 4' long, and is almost to scale, except believe it or not, the segmented arches should be about an inch and a half wider! 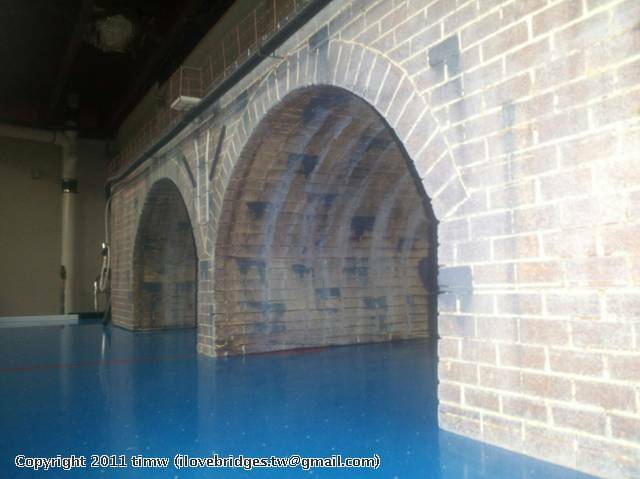 It too, along with most if not all of my other arch and girder bridges, is made almost entirely of EPS builders foam, that I cut and shape in my former woodworking shop. I enjoy working with foam more than wood. A small elephant could stand on this bridge it is so strong, yet also lightweight. 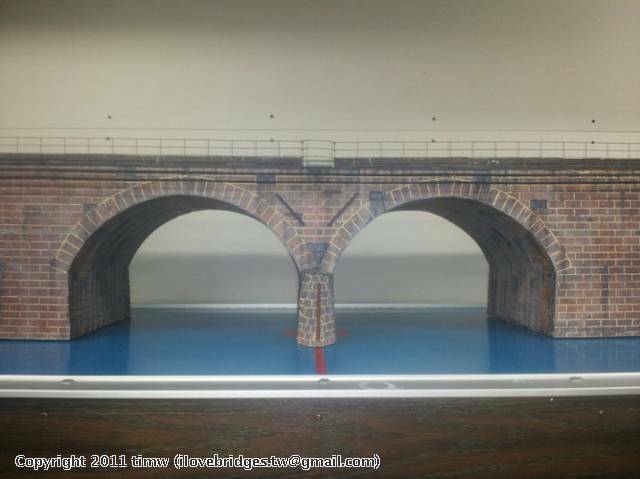 I am also working on a four arch 4' smaller version of the Rockville, at about 1/2 scale, that is similar to the Marshall Creek, PA bridge.